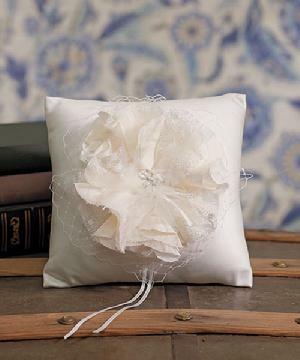 5080 - The handcrafted single flower featured on this ivory satin Ring Pillow is truly stunning. Layered with vintage style lace, netting and silk petals. A traditional concept with a fresh new twist that will be an ideal complement with a wide range of wedding themes. 20cm x 20cm.